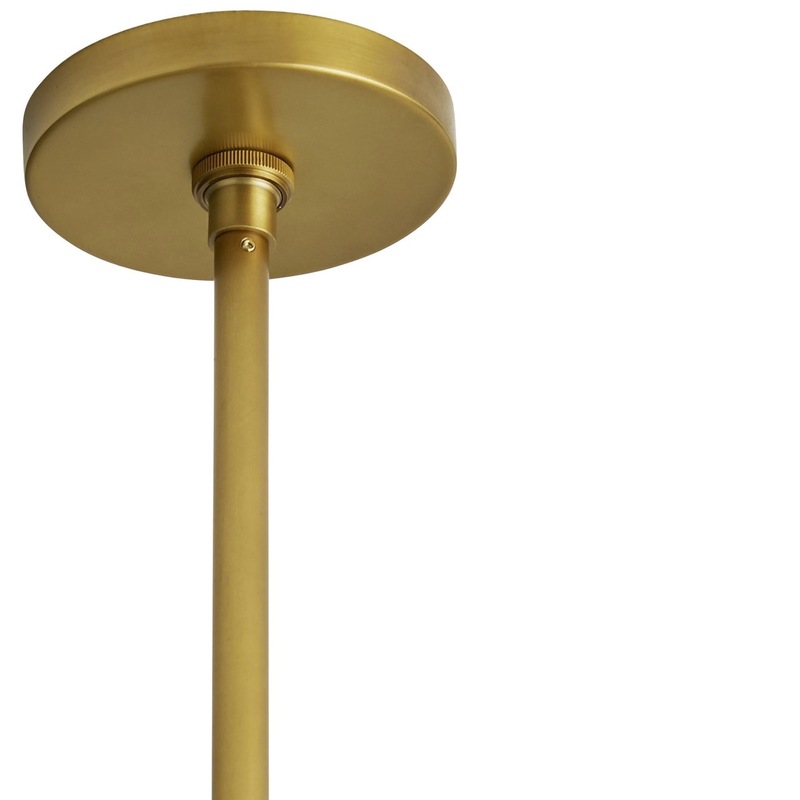 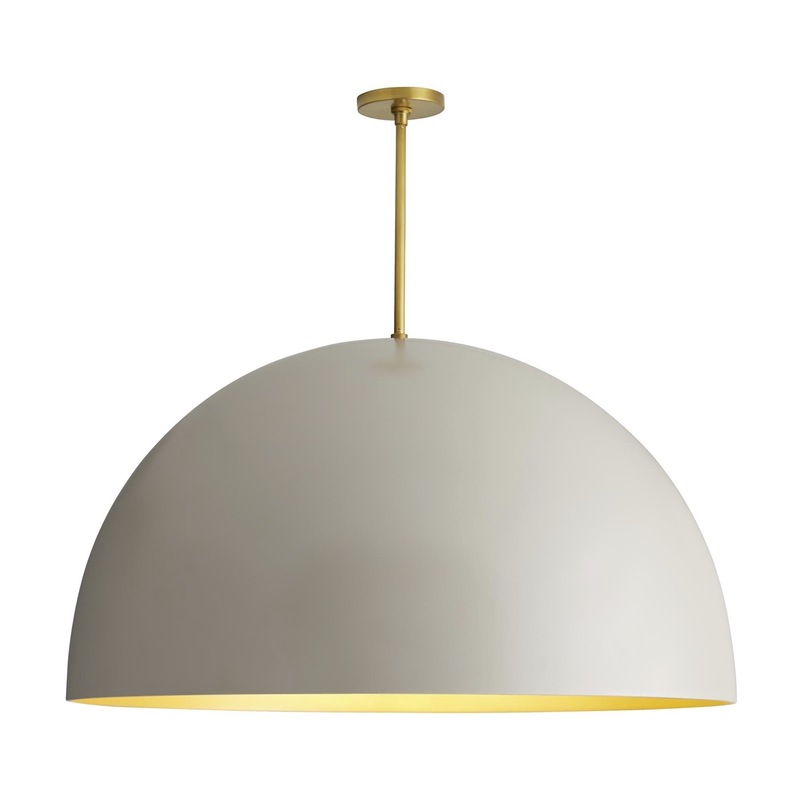 Equal parts classic and dramatic, this striking light fixture delivers form & function in grand scale. 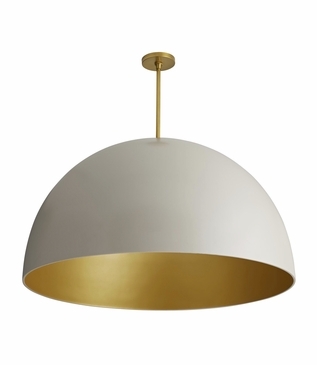 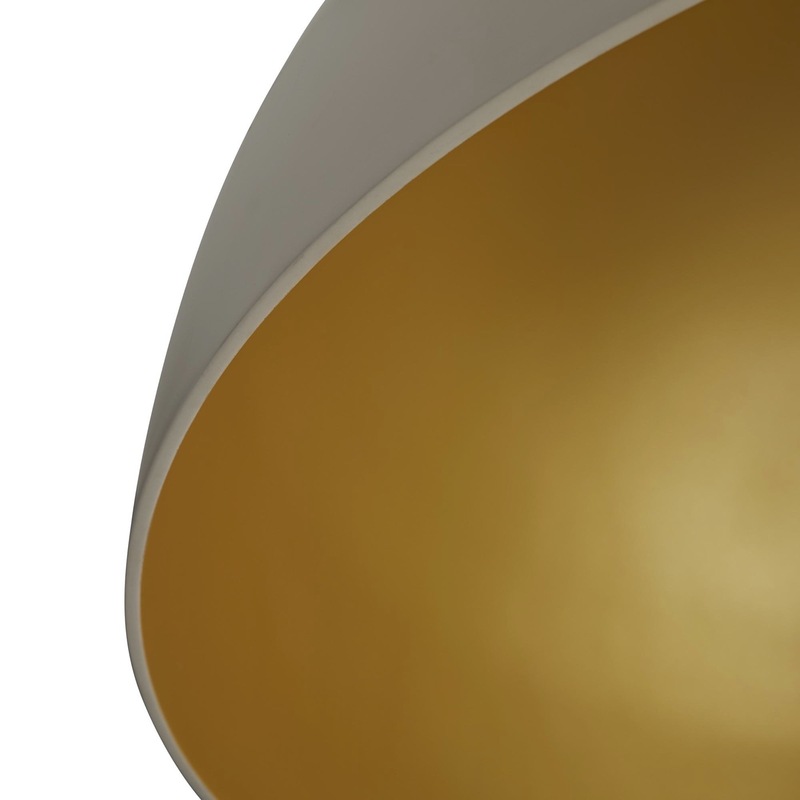 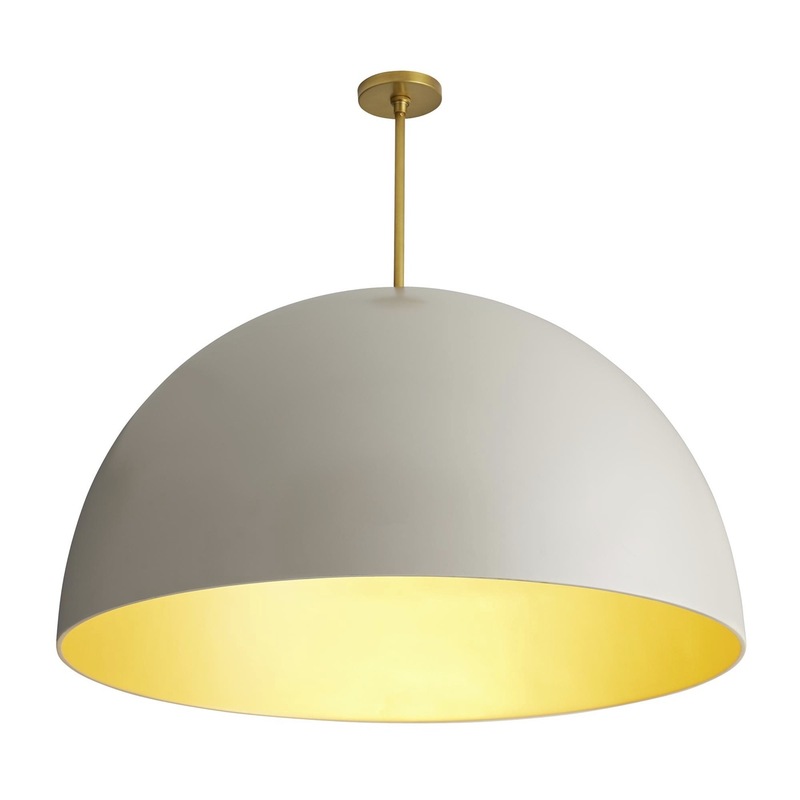 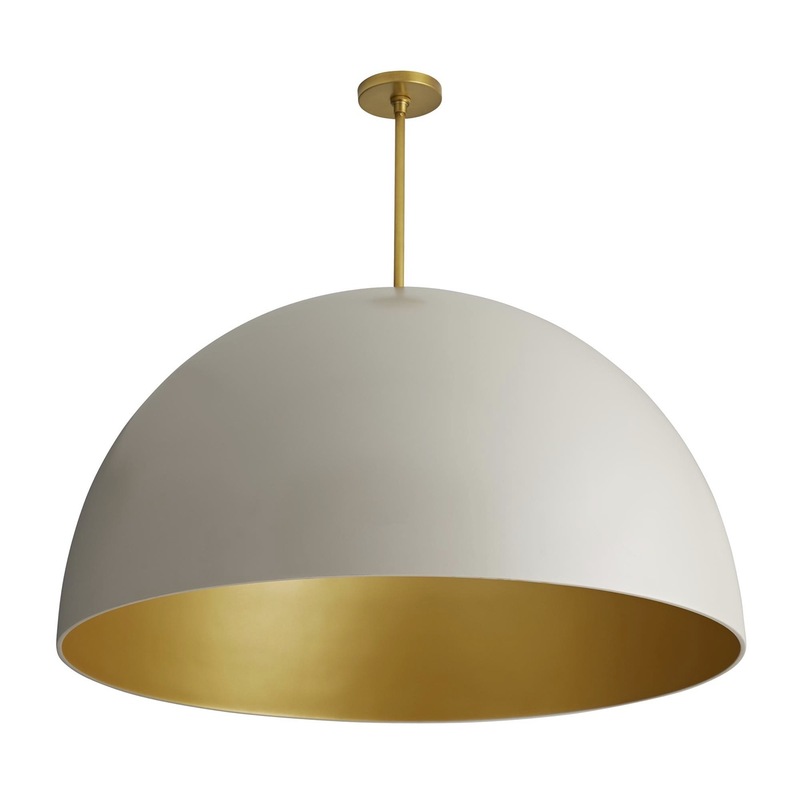 The streamlined dome design features an outer matte white surface while the interior of the dome boasts a brilliant satin gold metallic finish. 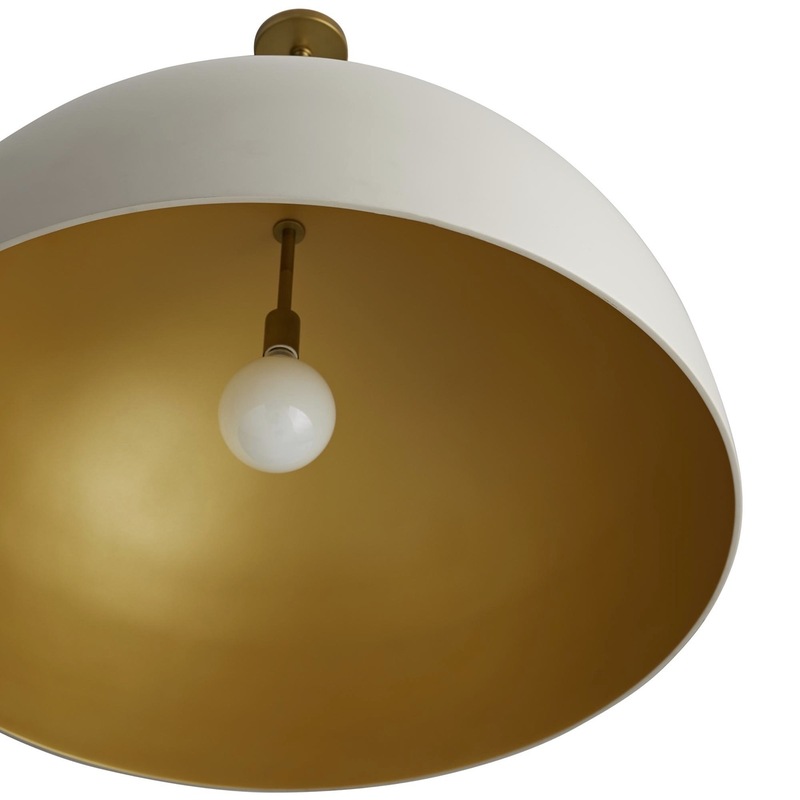 Though a stand-out fixture on its own, it makes an even bigger impact when grouped with the complementary shapes and tones in the Rhys Pendant collection.